The out-of-control spacecraft fell back to Earth around 0220 GMT Friday (10:20 p.m. EDT Thursday), according to data from the U.S. military’s Joint Space Operations Center, which tracks objects in orbit with a network of ground- and space-based sensors. 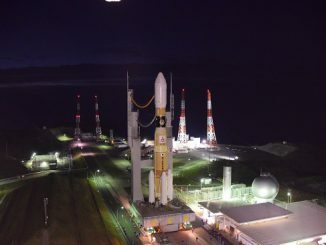 “This corresponds to an altitude of around 80 kilometers (50 miles),” the European Space Agency wrote in an update on its website, adding that touchdown of any remaining debris from the spacecraft likely occurred about 10 minute later. The re-entry of the doomed supply ship occurred over the Pacific Ocean away from populated areas, and not far from the impact point targeted at the end of normal Progress cargo missions. 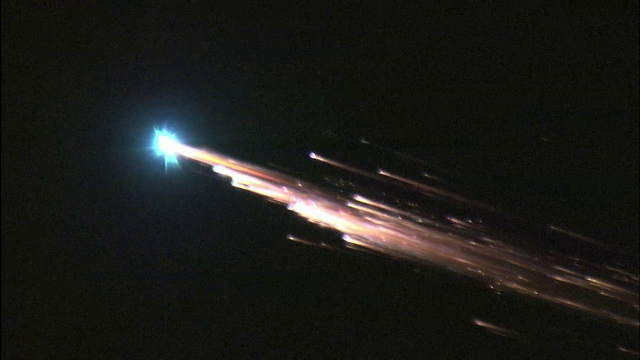 Officials said most of the nearly 8-ton spacecraft likely burned up during re-entry, but some fragments were expected to survive and reach the surface. The supply ship launched April 28 from the Baikonur Cosmodrome in Kazakhstan, but it ran into trouble a few minutes later when it separated from the third stage of its Soyuz rocket booster. 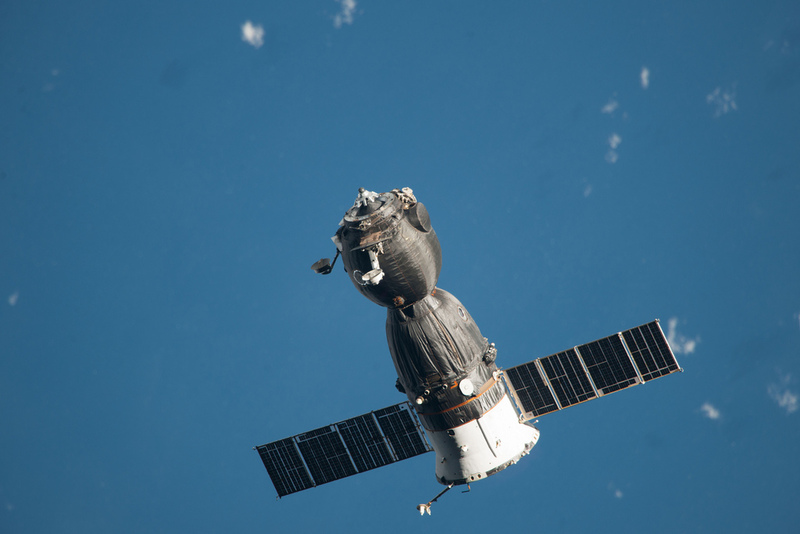 Video transmitted from a camera affixed to the supply ship showed it rotating rapidly, and Russian ground controllers gave up plans to dock the unmanned vessel to the space station. Investigators are looking into the cause of the mishap, with attention focusing on the Progress spacecraft’s deployment from the third stage of its Soyuz rocket booster. The first results of the inquiry are due May 13. 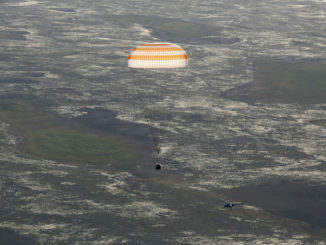 The capsule launched with more than 6,000 pounds of supplies, food and experiments for the space station and its six-person crew. The Progress carried dry goods inside a pressurized cargo module, plus tanks with water, air and propellant to refuel the space station. The failed cargo mission should have no impact on the space station crew. NASA says the space station astronauts are well-provisioned, and an accounting of the orbiting lab’s consumables shows the residents have enough food to last until early September, even without more cargo deliveries planned over the next few months. At the end of Progress resupply missions, space station crews load the Russian cargo capsules with trash for disposal. After undocking, Russian ground controllers guide the vehicles to re-entry over the uninhabited South Pacific Ocean, away from land masses and heavily-trafficked sea and air corridors.